BEIJING — Five people died in an east Beijing fire, underscoring the challenges for the Chinese capital as it struggles to balance building safety with providing housing for its poor. Local media reported that the residents of Chaoyang district died before dawn Wednesday after electric bike batteries plugged into a home-rigged charging system caught fire and belched noxious fumes into a three-story apartment building. 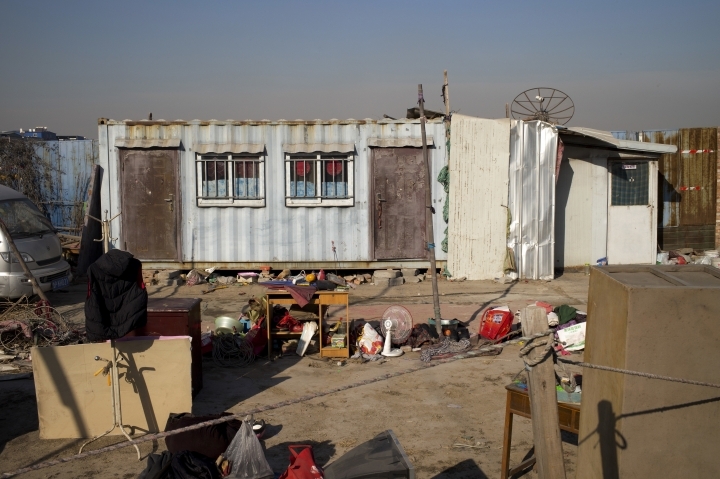 The accident came a month after an inferno killed 19 in south Beijing's Daxing district, prompting a controversial safety campaign that included the sudden eviction of thousands of migrant workers from unregulated slums. A spate of deadly fires — and the authorities' response — have generated an unusually intense debate in China about class, safety regulations and the Communist Party's heavy-handed leadership. 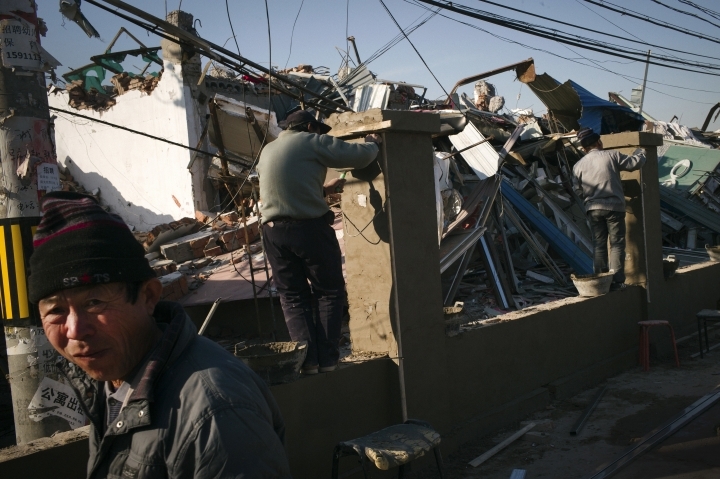 Beijing officials argue the mass evictions are a precautionary measure to protect migrants and have razed vast tenements in a matter of weeks. But the campaign has drawn widespread condemnation on social media from laborers as well as China's middle class, who say it is part of a longstanding government plan to control Beijing's ballooning population by thinning out the so-called "low-end" socio-economic class. Even before the fires this year, Beijing officials had been shuttering many working-class small businesses, citing building code violations and forcing migrant workers to go back to rural China. But the sweeping fire safety campaign has become a flashpoint. Hundreds of migrant workers held a rare protest on Sunday against what they said were violent evictions, while scores of academics and white-collar Beijingers have signed an open letter expressing sympathy for the laborers cast into the winter cold with just days' notice. Beijing Communist Party boss Cai Qi appeared to double down on his safety campaign on Wednesday as he visited the scene of the latest fire. The state-run Beijing News quoted him as saying that the fire was a reminder that safety work must not be stopped "for a moment." Faced with popular criticism, the government launched a propaganda counteroffensive this week with Cai going on a talking tour to visit delivery boys and sanitation workers and thank them for their "sweat and contributions to the capital's prosperity." "We need to give these workers respect and show even more care and love for them," he was quoted by the Beijing News as saying. 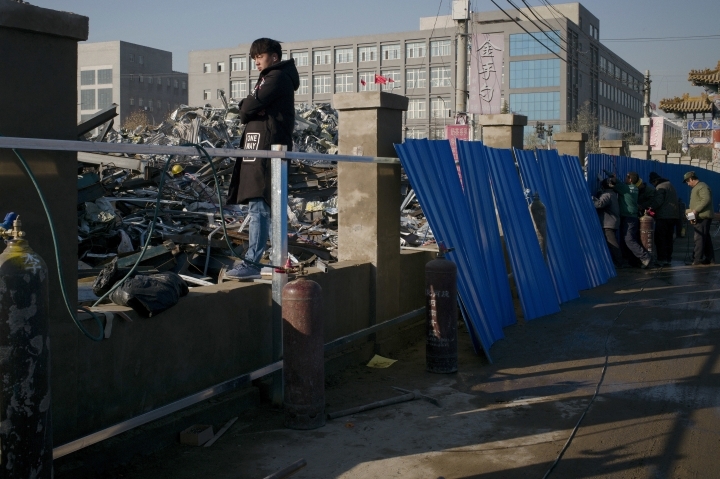 Authorities have tightly controlled domestic reporting on the Beijing fires, censored some search results and pursued activists and artists who have shared videos of razed migrant worker villages on social media. 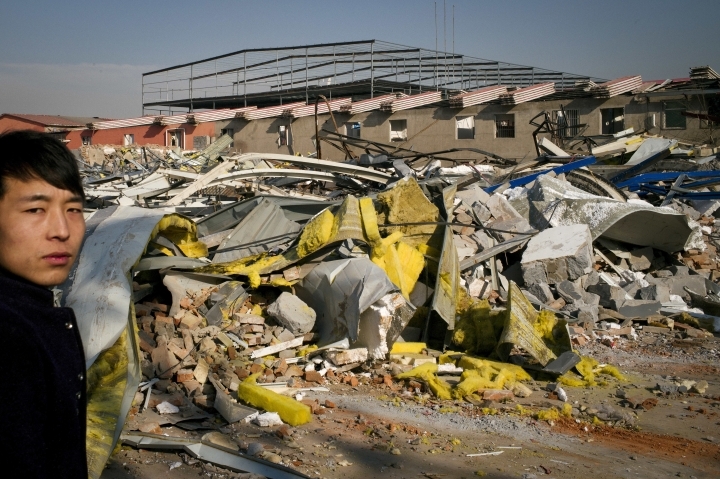 During a recent visit to the razed Xinjian village in southern Beijing where 19 died, police patrols were seen blanketing the site and shooing away any visitors taking photographs. Still, news reports of deadly fires have surfaced on a nearly weekly basis across the country. Apartment fires this month in Tianjin and Guangdong province killed 10 and eight people, respectively, while workers have perished in factories. There were 15,000 Chinese workplace fires in the first 10 months of 2017, said Keegan Elmer, researcher at China Labour Bulletin, a Hong Kong-based advocacy group. He said knee-jerk measures such as mass evictions will prove ineffective without better day-to-day fire safety oversight. "We always see major crackdowns in the wake of terrible accidents, as we saw today, where people are punished after the damage has been done," he said. "But little is done to actually prevent these tragedies from occurring in the first place."